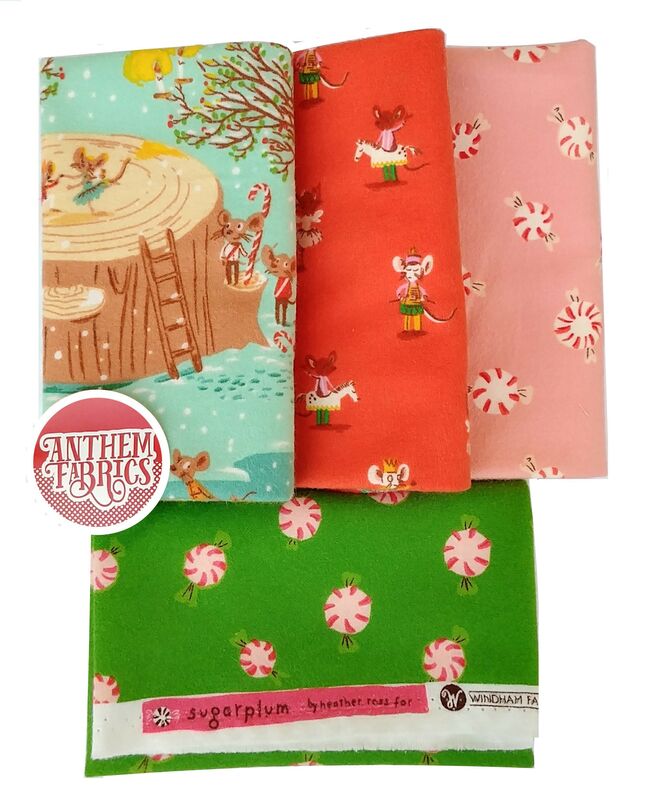 This charming Christmas flannel fabric collection by Heather Ross has mice dancing and playing alongside delectable peppermint candies. It is perfect for both the young and the young at heart. Make snuggly stuffed animals, warm pillowcases, receiving blankets and beautiful themed quilts. This bundle includes all four designs. 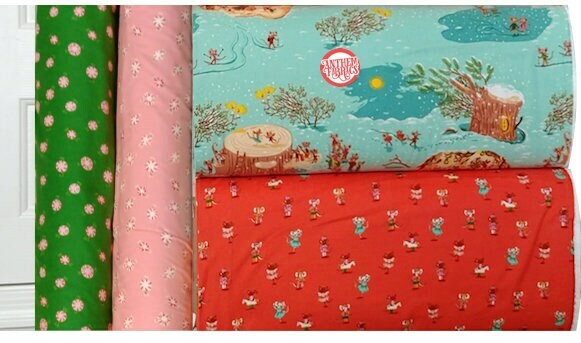 Four pieces @ 1 -yard cut ( 36" x 43" each). 4 yards of material in total. (NOTE: not suitable for children sleepwear).